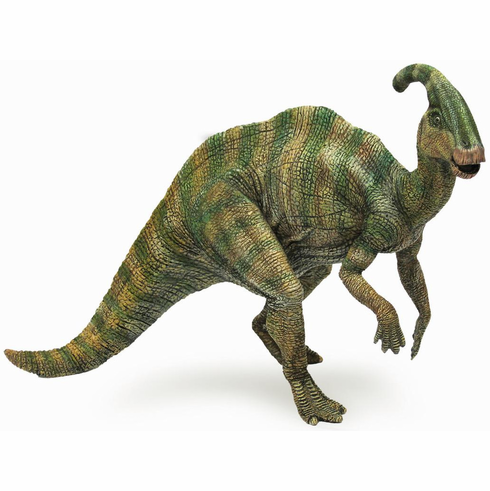 Papo Parasaurolophus measures approximately 8 inches long and stands approximately 5 inches tall. Parasaurolophus means "near crested lizard" and the Parasaurolophus is part of the dinosaur family know for its "bizarre head adornments." The Papo Parasaurolophus #55004 is part of the Dinosaur Series by Papo.